The Famous Spiegeltent is a portable device, a bit like the Tardis, that appears magically to host performances of all kinds in all sorts of places. Built in 1920, it apparently, in the 1930s, hosted Marlene Dietrich singing ‘Falling in Love Again.’ A few years ago, when I was still doing a mix of spoken word and music, I was lucky enough to perform in it in three separate years as part of the Edinburgh International Book Festival’s evening series, Unbound. Then it disappeared. Well, not really. It was still somewhere in this space-time continuum, hosting great performances. 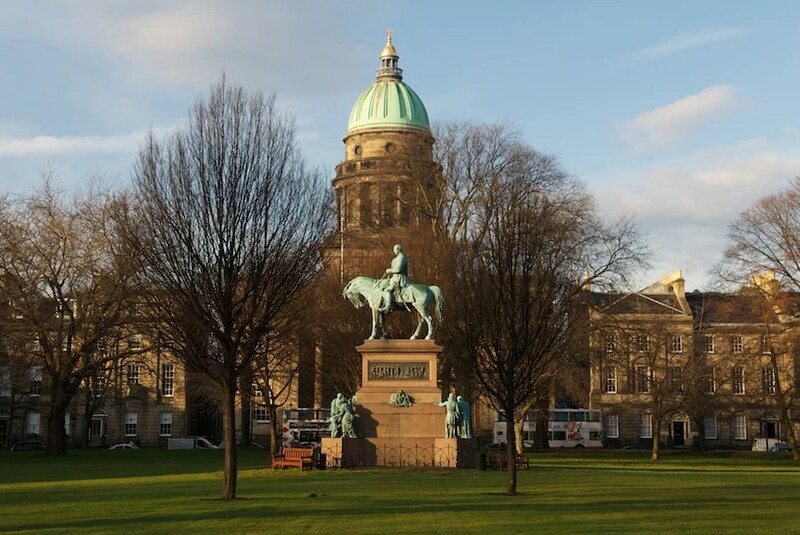 However, it wasn’t in Edinburgh’s Charlotte Square, because the owners of the gardens which the Book Festival took over every August (no doubt for a fee) had decided having all these common people tramping over their grass and enjoying themselves was de trop and banned the Spiegeltent. Yeah, I know. I’ve still to go to the Book Festival (that’s next weekend) and see what, if anything, has been allowed in Charlotte Square or if it’s restored to its rest-of-the year humdrum nature in full – there’s talk of most, if not all of the EIBF events being staged along nearby George Street. However, in the meantime, good news! The Spiegeltent has beamed down to the Meadows, that fine piece of common ground on the south side of Edinburgh’s city centre. And, in keeping with its tradition of hosting brilliant chanteuses (I’m definitely thinking Dietrich here, not yours truly) it’s the venue for Camille O’Sullivan‘s latest show, Where Are We Now? Saturday night was Camille’s second performance of a run that goes on until 24th August, and, in recognition of this, it and the night before were cheaper. However, any glitches in the performance were due, not to Camille or her excellent three-piece band of guitar, keyboards/piano and drums, but to the nature of the venue and its surrounds. 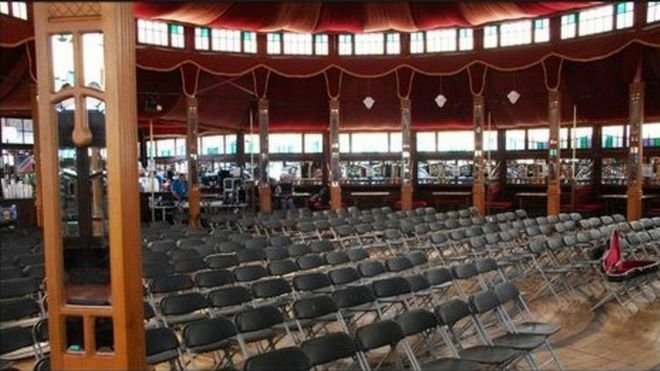 The Spiegeltent is a fantastic space to perform, or watch a performance, in. I must admit I’m glad now I didn’t know quite how historic it was when I did my shows in it, or I’d have dropped my guitar at the prospect. However, it does have one drawback – despite all the wood, mirrors and brocade, it is, when all’s said and done, a tent. And that means sound bleed. When it was located in Charlotte Square, that wasn’t such a problem – any book festival events still ongoing are some distance away and tend to be just authors droning on about their stuff. The only thing we had to try to do was time the half way break to cope with the fireworks at the Castle which signalled the end of the Military Tattoo (of which more later). In comparison, in the Meadows, the Spiegeltent has a bustling inter-venue bar outside, and a big blue circus tent type affair with other music shows ongoing about fifty metres away. That might not be a problem for some shows. However, Camille’s performances range from full-on rockers to, to take an example from this set, an a capella version of a Jacques Brel song. She is a dramatic, dynamic, performer, who takes you on a musical odyssey through the full gamut of emotions with carefully-chosen dark materials from some of the great songwriters of the last 70 years or so. In other words, the perfect performer in many ways for the Spiegeltent – if it wasn’t for the sound bleed. As it was, O’Sullivan spent much of the early part of the show making a single-finger gesture at the back of the audience – a plea for the sound guy to turn her monitor, the guitar, the keyboard, everything, up. It was a pity, because the performance was otherwise up to her usual brilliant standard (this was the third time I’d seen her). However, the best songs were, inevitably, the louder ones. Bowie dominated the early part of the set, and there was a great version of ‘Rock n’ Roll Suicide; Nick Cave’s ‘Mercy Seat’ got a barn – or tent – storming interpretation too. Not even the post-Tattoo fireworks (which seemed to have more than one go) could interrupt. A two-song encore, including old favourite, Nick Cave’s ‘Ship Song,’ and she was gone into the night. Camille will have less distracted performances than this: but the material is strong, and her performances of it as incendiary as ever. Next time, just cancel the fireworks and beam the Spiegeltent to our back garden, eh? The neighbours are really quiet.